Although the ranking is largely unchanged, there has been some reshuffling in this year’s pecking order. Siva Rao bought a life insurance policy a few years ago to save tax. But now that he pays a fat home loan EMI, Rao finds it difficult to service the Rs 1 lakh insurance premium. Vilas Patil wants to invest in the NPS but is not sure if he can claim tax deduction because he has already exhausted the Rs 1.5 lakh limit under Section 80C. Nardeep Singh is facing a liquidity crunch and doesn’t have enough for tax savings. He wants to know if it is possible to redeem his ELSS funds and reinvest the proceeds to claim tax deduction this year. Scores of other readers have written to ET Wealth in the past few weeks seeking advice on tax planning. This week’s cover story is packed with the information they need. Like in the past, we have assessed 10 tax-saving instruments on eight key parameters—returns, safety, flexibility, liquidity, costs, transparency, ease of investment and taxability of income. Each parameter is given equal weightage and the composite scores of the various tax-saving options determine their place in the ranking. Although the ranking is largely unchanged, there has been some reshuffling in this year’s pecking order. Despite the introduction of the tax on long-term capital gains from stocks and equity funds, ELSS funds still occupy the pole position. But NPS has jumped up from fifth place to the second rung. This is largely due to the changes in the investment limits and tax rules for the pension scheme. Ulips too have become a little more attractive after some insurers came out with plans that return the mortality charges paid on the policy. However, some options have not improved their place in the ranking. Rao’s predicament is a good example of why one should not buy traditional life insurance policies to save tax. They give very low returns and the high premiums prevent the policyholder from investing in other options. That’s why life insurance is at the bottom of the heap this year as well. "A lot of taxpayers are eager to invest in ELSS funds but we don’t want them to invest recklessly. If a first-time investor loses money, he is scarred for life and may decide to stay away from equities for years," says Shweta Jain, CEO and Founder, Investography a Bengaluru-based financial advisory frim. Her advice to taxpayers: Do not put a large sum into ELSS funds at one go, stagger it over 2-3 tranches before the 31 March deadline. It is important to note that not all ELSS funds carry the same risks. Some allocate more to small- and mid-cap stocks, while others stick with stable large-cap stocks. We classified ELSS funds into three broad sub-categories (see tables). Choose the one that best suits your risk appetite. Small-caps account for over 10% of their portfolios. These funds can be risky but also very rewarding. More than 25% of their corpus is in mid- and small-cap stocks. Expect good growth if you can stomach calculated risks. With more than 75% in large-cap stocks, these funds will be relatively less volatile. ELSS funds have a lock-in of three years, the shortest among all tax-saving options. This is a godsend for taxpayers like Delhi-based Nardeep Singh who is facing a temporary cash crunch but needs to show proof of investment to his employer by 15 January. Singh can redeem his ELSS funds that are out of the three-year lock-in and reinvest the proceeds to claim tax deduction this year. The NPS jumped to the second place this year because of changes in investment and tax rules. Firstly, the entire 60% of the corpus that can be withdrawn at the time of retirement will be tax free. Till now, only 40% of this withdrawn amount was tax free, while the remaining 20% was taxed. “The tax exemption on the 60% that can be withdrawn at the time of maturity is a big step forward,” says Archit Gupta, CEO, Cleartax.com, a tax-filing portal. Secondly, investors can now allocate up to 75% to equities in the active choice option of the NPS. Till last year, the maximum allocation in the active choice was 50%. The aggressive auto choice started with 75% allocation to equities but progressively brought it down every year. Another important change is that you can remain invested in the scheme till the age of 70 and stagger your withdrawals. Experts say investors can expect better returns from NPS than pure debt products such as PPF or bank deposits. While the higher exposure to equities can help, even those with a balanced portfolio or a small exposure to equities can expect good returns (see table). The equity and bond rallies helped the NPS churn out good returns in the past few years. Though the near-term picture for aggressive portfolios does not look very attractive, all investors in NPS have earned double-digit returns in the past five years. NPS can help save tax under three different sections. Firstly, contributions of up to Rs 1.5 lakh can be claimed as deduction under the overall Section 80C. Secondly, there is an additional deduction of up to Rs 50,000 under Section 80CCD(1b). Thirdly, if the employer puts up to 10% of the basic salary of the individual in the NPS, that amount will not be taxable. Small savings rates are linked to government bond yields in the secondary market. PPF rates were hiked in October 2018 after a sustained rise in bond yields. However, though bond yields subsequently came down in the third quarter of 2018-19, PPF rates have remained unchanged. Advisers say that PPF remains a good bet because the interest is tax free, giving the small savings scheme a distinct advantage over fixed deposits. The interest from fixed deposits is fully taxable, which brings down the returns to barely 5% in the highest tax bracket. Advisers also warn against bingeing on fixed income instruments. “Your tax-saving investments should take into account your overall debt component. If you already contribute to the Provident Fund, there is little utility in investing more in a fixed income option,” says Sudhir Kaushik, Co-founder, Taxspanner.com, a tax filing portal. The PPF scores high on safety, flexibility and ease of investment. An account can be opened in a post office branch or designated branches of PSU banks. Some private banks also offer the facility to invest in the PPF. You should opt for a bank that allows online access to the PPF account. The 8.7% offered by the SCSS is the highest among all small savings schemes. Only IDFC Bank is offering a higher rate of 8.75% to senior citizens on its five-year tax-saving fixed deposits. The tenure of SCSS investment is five years, which is extendable by another three years. However, there is a Rs 15 lakh overall investment limit per individual. Also, the scheme is open mostly to investors above 60. In some cases, where the investor has opted for voluntary retirement and has not taken up another job, the minimum age is relaxed to 58 years. According to a finance ministry notification dated October 3, 2017, the minimum age limit for investing in SCSS for retired defence personnel (excluding civilian defence employees) has now been fixed at 50 years. They also need to satisfy other requirements as per the scheme rules. For taxpayers with a daughter below 10 years, the Sukanya Samriddhi Yojana is a good way to save. The interest rate is linked to the government bond yield and is subject to change every quarter. It will be 8.5% till March and could change in April, though it seems unlikely that the government will cut rates a month before the general elections in May. The Sukanya scheme offers a higher rate that the PPF. Just like the PPF, the interest earned is tax free and there is an annual cap of Rs 1.5 lakh on the investment. Accounts can be opened in any post office or designated banks with a minimum investment of Rs 250. A parent can open an account for a maximum of two daughters, but the combined investment in the two accounts cannot exceed Rs 1.5 lakh in a year. The best part is that the account is opened in the name of the child and the maturity proceeds have to be used for her education and marriage. Ulips came into focus again last year after the Budget introduced tax on long-term capital gains from stocks and equity funds. Distributors and insurance companies were quick to point out that income from Ulips is completely tax free under Sec 10(10d). Even before the tax on capital gains was announced, Ulips had a distinct tax advantage over mutual funds. Ulips not only offer equity funds but also debt and liquid fund options to investors. Switching from equity to debt or vice versa does not have any tax implications. 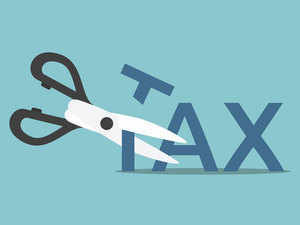 Short-term gains from debt funds and income from fixed deposits is taxed at the marginal rate while long-term capital gains from debt funds are taxed at 20% after indexation. But income from Ulips is tax free. "Whether you make short-term or long-term gains from equities or debt, it is all tax free," says a spokesperson of Edelweiss Tokio Life Insurance. Insurance companies claim that this makes Ulips an effective rebalancing tool and a one-stop shop for all financial needs. But before you decide to buy a Ulip, take a short test (see: Your Ulip checklist) to know if it is the right choice. After all, a Ulip is a long-term investment and you could get stuck with an unsuitable investment for 8-10 years. Closing the pplan before the term will lead to surrender charges. The bad press they have received in the past has created a negative perception about Ulips. And for good reason too. Though Ulips are no longer toxic investment products, wealth managers and relationship executives in banks continue to mis-sell them. The mis-selling becomes worse in the last quarter of the year when taxpayers are running around trying to meat the deadline. The new Ulips launched by insurance companies are low on costs and compete with direct plans of mutual funds on charges. "The Ulip cost structure has been rationalised and the charges are very low," says financial planner Priya Sunder. While equity Ulip plans earned nearly 14% in the past five years, debtbased plans earned 7-8%. Keep in mind that some of the charges of Ulips are not deducted from the NAV so the investors’ return may be even lower. Given the spiralling cost of education and education inflation of around 10%, it makes sense to invest aggressively to ensure you don’t fall short of funds when your child is ready for college. However, what happens if something untoward happens to the parent? His mutual fund SIPs will stop when he passes away. If you are looking at securing your child’s long-term goal, even if you are not around, opt for a child Ulip. These plans waive the premium if the parent dies and continue to invest in the policy. This ensures continuation of the investment till the financial goal is reached. So the basic purpose of the investment is not lost. The growing popularity of the NPS has eclipsed the pension plans from insurance companies. Insurance companies are hoping that the Budget will provide a level playing field for these plans. Right now, investors in NPS get an additional deduction of Rs 50,000 for contributions under Sec 80CCD(1b). More tax can be saved by contributing through the employer. However, pension plans from insurance companies are not eligible for these deductions. Though this is unfair for the industry, it is unlikely that the government will extend a benefit that pits these pension plans against the governmentsponsored NPS. There are other problems too. Unlike the new Ulips, whose charges have come down significantly, the pension plans from insurance companies are still not that cheap. They have high charges compared with the ultra low-cost NPS. Besides, like Ulips, these pension plans have opaque structures and many of the charges are not very clearly explained to the buyer. One big problem with pension plans (and the NPS as well) is that the pension from the annuity is fully taxable as income. Since the pension from an annuity is a mix of the principal and the gain, the investor ends up paying tax on the principal portion as well. Insurance companies believe that the tax treatment of annuities and pension income is one of the main reasons why people don’t invest in pension plans. The best thing about these instruments is that unlike an insurance policy or a pension plan, the National Savings Certificates (NSCs) do not require a multi-year commitment. So, it is a good option for those who don’t have time to study the features of a plan or look up the most promising ELSS funds. The interest rate of the NSCs has been left unchanged this quarter. At 8%, it is a good option for those who just want to invest in a hurry and forget. Given that bank deposit rates are close to 7.5%, the NSCs are marginally better than fixed deposits. The interest earned on the NSC is also eligible for deduction under Section 80C in the following years. Here’s how this works. Suppose an investor buys Rs 50,000 worth of NSCs in January 2019. One year later, the investment would have earned an interest of about Rs 4,000. The investor can claim deduction for this Rs 4,000 for the year 2019-20. The next year, the investment would earn about Rs 4,300 in interest. This can be claimed as a deduction in 2020-21. This is especially useful for investors in the 5% tax bracket who are not able to fully exhaust the Rs 1.5 lakh investment limit under Sec 80C. The tax deduction available on the interest effectively makes the NSC tax free for such investors. What’s more, the certificates can be used as collateral for loans. These NSCs are also suitable for senior citizens who want to play it safe but have exhausted the Rs 15 lakh limit of the Senior Citizens’ Savings Scheme. Since there is no such restrictions in NSCs, they can use this instrument to save tax. The only problem is that NSCs are only available at banks, which is quite discouraging in these times of automation and digital transactions. Deposit rates have risen in recent months, making bank deposits attractive. Tax-saving bank fixed deposits are a good choice for those who may have left their tax planning for the last minute and are now running around searching for the best investment option. Only Individuals and Hindu Undivided Families (HUFs) can invest in tax saving FD scheme. The FD can be placed with a minimum amount which varies from bank to bank. A person can invest in these FDs through any public or private sector bank except for co-operative and rural banks. These deposits have a lock-in period of 5 years. Premature withdrawals and loan against these FD's are not allowed. One can hold these FDs either in 'Single' or 'Joint' mode of holding. In the case the mode of holding is joint, the tax benefit is available only to the first holder. According to current income tax laws, under Section 80C of the I-T Act, your tax deduction claim for investments in tax-saving fixed deposits is to be deducted from gross total income to arrive at taxable income. Nomination facility is available for these FDs. Investment in POTD of 5 years also qualifies for deduction under section 80(C) of the Income Tax Act, 1961. POFD can be transferred from one post office to another. Though the interest rates are not as high as small savings instruments, these deposits offer the convenience of online banking. If someone has to show the proof of investment this week, all he has to do is log on to his Netbanking account. A few clicks of the mouse is all it takes to invest in a tax-saving fixed deposit. Even these rates are low compared to small savings schemes and interest is taxable. This is possible 24x7 and from anywhere. Even if the bank has closed for the day or the investor has to go out of town, he can easily open a fixed deposit using Netbanking. Senior citizen taxpayers who don’t want to stand in a queue in a post office will also find this useful. But there is a high price to be paid for this convenience. The interest earned on bank deposits is fully taxable, which brings down the post-tax return for those in the higher income bracket. Please note that you cannot invest in a fixed deposit in somebody else’s name using your Netbanking account. Life insurance policies are once again at the bottom of our ranking of tax saving options. Life insurance is critical because it helps protect the goals of the individual even if he is not around. But we believe a pure protection term plan can serve this purpose better and at a fraction of the cost of a traditional endowment policy or a money back plan. Unfortunately, parents are the worst culprits when it comes to insurance policies. Their perception of the investment landscape is based on their own experience rather than the ground realities. As soon as children start earning, a parent will force them to buy a traditional insurance policy. Some people even buy one as a gift. They pay the first premium and then the child has to continue for the rest of the term. This gift become a millstone around the neck of the recipient, yielding measly returns of 4-5% even though better options are available. Traditional policies are not able to offer the insurance cover that a person actually needs. Experts say one should have a cover of at least 6-8 times his annual income. So, someone earning Rs 50,000-60,000 a month at the age of 30 should have a life insurance cover of roughly Rs 40-50 lakh. An endowment plan offering a cover of Rs 40-50 lakh will cost the buyer almost Rs 4-5 lakh per year. This is nearly 60-70% of his total income. However, a term cover for Rs 1 crore will cost him just Rs 7,000-8,000 a year, which will be only 1% of his income. Keep this math in mind when you go shopping for a tax-saving instrument this year.